Marijuana banking is needed to protect the industry. Marijuana banking is essential to the industry’s safety. Currently the marijuana industry is a cash only enterprise. Marijuana being illegal at the federal level is the reason why. The marijuana industry is currently in a gray area of the law. Recent events have demonstrated the risks that come with not having a bank account. In June alone dispensaries in the West were targets of armed robberies. A security guard at a marijuana dispensary was killed in Colorado. Robbers were shot by a dispensary owner in Los Angeles. A security guard was shot in the face in San Bernadino. As more states begin to legalize medical marijuana, the number of dispensaries will only continue to grow. Also last month, Republicans in the House of Representatives voted down an amendment that would allow for marijuana banking for the 2017 budget. Those who supported the bill cited the shooting in Denver but this did not sway the opposition. The road to banking for the marijuana industry has not been easy. In the last three years a bill has not been approved by both the House and the Senate. In 2013 the House approved a bill that was ultimately voted down by the Senate. Last year marijuana banking wasn’t even debated in the House of Representatives. Marijuana banking will not be available in 2017, only time will tell if this topic is brought up again for debate. Banking is not the only issue the marijuana industry is facing. The IRS has been conducting audits on cannabis businesses because of its cash transactions. The audits surround Form 8300 which is required by law to be filled out when receiving $10,000 or more cash payments. This amount is perfectly normal for an industry that average 5.4 billion last year. Comparing the marijuana audits to other businesses demonstrate the large scrutiny the marijuana industry is currently under. 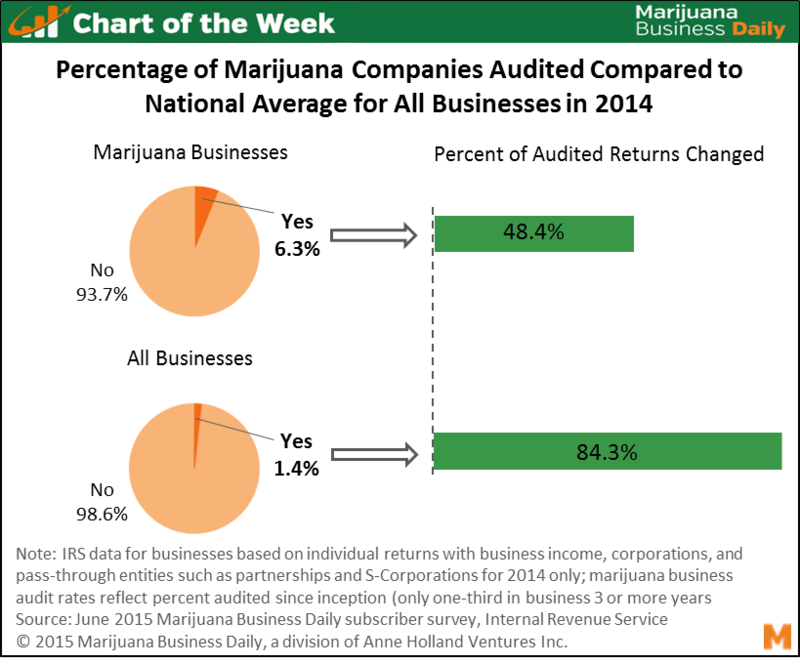 In 2014 6% of marijuana businesses surveyed by the Marijuana Daily News had been audited, but only 1.4% of other businesses were. Some argue that the IRS probing is to ensure there is not money laundering occurring behind closed doors in the marijuana industry. Although this concern is understandable it only strengthens the argument in favor of marijuana banking. Giving the cannabis industry banking rights would allow for it to stop accepting large amounts of cash, facilitating its transactions in the eyes of the IRS.